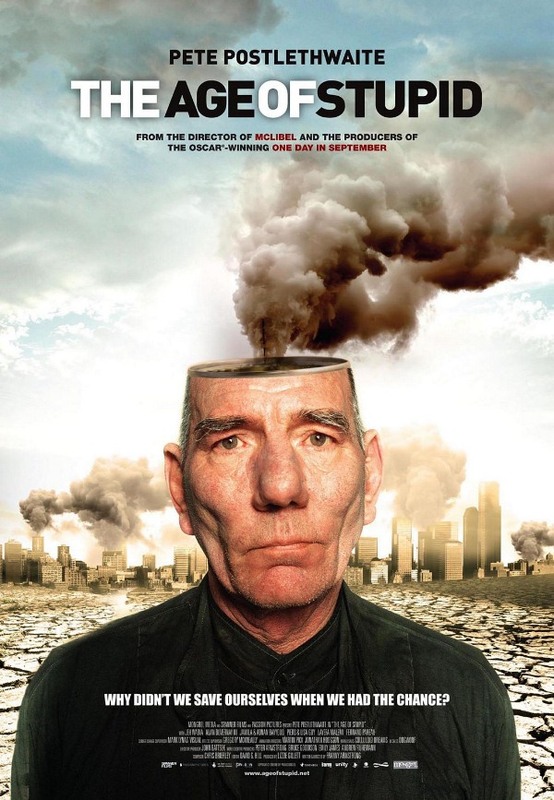 Last summer, a friend of mine, Julian Sproul, insisted I watch this documentary, The Age of Stupid. I had the link bookmarked for more than 6 months, and I just sat down and watched it. The funny part about watching this documentary was that it really didn’t tell me anything I didn’t already know: we have about 5 years and a margin of 2 degrees celsius to cap and drastically reduce our emissions before natural reactions to our folly (like methane released from melting Arctic glaciers) cause climate change to irreversibly snowball, seriously threatening the survival of the human species on planet earth. I knew that before, along with the other statistics dropped, like the fact that at our current rate of use we will be out of oil by 2050, causing the potentially catastrophic collapse of our production, transportation, food and financial systems. But somehow I manage to table this knowledge every time I’ve boarded a plane – one of the most carbon costly activities you can do – in the last year, which totals to 9 times. 9 times. Thinking about what to do about our future, in which Cormac McCarthy’s The Road presents an actual, scientifically plausible scenario, I fight the urge to quit school, take to the street and demand for change through direct action. For it will take direct action to catalyze change at the levels that matter. Just look at Wisconsin. However, instead I’m betting against time, hoping that by continuing to educate myself I will end up achieving more influence over my country and the fate of the world than organizing protests. It really is a gamble though. If The Age of Stupid didn’t teach me anything new, it did concretize my growing sense that we are entering a century of sink or swim. We must begin thinking about our decisions in terms of local and global species survival, before we are forced to by necessity. We have so much to do, and so little time to do it. Never have the stakes been higher. God speed.